The NIH sought to address some of the issues in drug therapy for patients with high BP in the SPRINT. Studies with older medications, primarily beta-blockers, indicated that the drugs may actually increase mortality when used to lower blood pressure. These results and issues with newer drugs like calcium channel blockers and angiotensin converting enzyme (ACE) inhibitors led to the recommendation by many expert organizations to try to achieve a target systolic reading of 140 mm Hg in patients over the age of 60. In fact, less than two years ago, a National Heart, Lung and Blood Institute panel told physicians to aim for a systolic blood pressure of 140 mm Hg in subjects under 60 and 150 mm Hg for people ages 60 and older because there were no convincing data showing lower is better. One concern was older people might be especially vulnerable to side effects and drug interactions caused by higher dosages of blood pressure lowering drugs. First, I agree with the overall finding that it is very important to get blood pressure below 120/80 mm Hg. But rather than using drugs to accomplish this goal, I think that it is far better to utilize natural approaches. Why? All of the current classes of blood pressure lowering drugs possess significant side effects and 80% of people with high BP can lower their blood pressure without drugs. Writing even more prescriptions for high blood pressure drugs could have disastrous consequences. These drugs are not without serious side effects. For example, a 2013 study showed that women taking blood pressure lowering drugs called calcium-channel blockers, like Norvasc (amlodipine), for 10 years, or more had a 2.5 times higher risk of developing breast cancer than those who never took the medicine or who used other blood pressure treatments. The bottom line is that I think drug therapy should be secondary to natural approaches, not the first option. The fact that more than 80% of patients with high BP are in the prehypertension to moderate range, what the drug companies won’t tell you and most physicians ignore, is that most cases of high BP can be brought under control with changes in diet, lifestyle, and proper use of dietary supplements. In fact, in head-to-head comparisons, many non drug therapies such as diet, exercise, relaxation therapies, and dietary supplements have proved superior to drugs in cases of prehypertension to mild high BP and are without side effects. Another key factor is salt intake. Between 40% and 60% of hypertensives are salt sensitive. In other words, in about half of patients with high BP, sodium restriction (e.g., less than 1,200 mg daily) is effective in lowering BP. Can dietary changes alone really lower blood pressure? Absolutely. In fact, another NIH funded series of studies were titled “Dietary Approaches to Stop Hypertension” (DASH). These studies showed quite convincingly that diet alone is very effective in achieving normal blood pressure in many patients with high BP. Special foods for people with high blood pressure include celery; garlic and onions; nuts and seeds; cold-water fish, e.g. salmon and mackerel, or fish oil products concentrated for the omega 3 fatty acids EPA and DHA; green leafy vegetables and sea vegetables for their calcium and magnesium; ground flaxseeds, whole grains, and legumes for their fiber; foods rich in vitamin C, such as broccoli and citrus fruits; and foods rich in active flavonoids including berries, cherries, grapes, and legumes. Celery Seed Extract (standardized to contain 85% 3-n-butylphthalide [3nB]) has also been shown to help improve blood pressure control. 3nB is a compound that is unique to celery and is responsible for the characteristic flavor and odor of celery. It was discovered as the active component of celery in response to investigations by researchers seeking to explain some of the traditional effects of celery including lowering of blood pressure and relief of joint pain. Dosage: 75 to 150 mg twice daily. 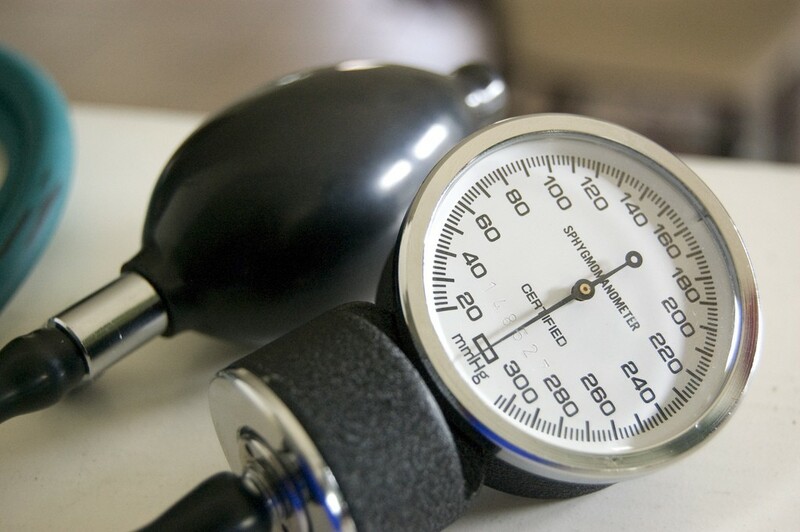 Grape Seed Extract (standardized to contain 95% procyanidolic oligomers) was shown to normalize high blood pressure in patients with initial blood pressure in the range of 150/95 mm Hg when combined with standard dietary guidelines. Dosage: 300 mg daily. Olive leaf extract has been shown in clinical trials to work as effective as the conventional antihypertensive drug Captopril in lowering blood pressure, but without side effect. Dosage: 500 mg (17% to 23% oleuropein content) twice daily. Hibiscus tea or extracts have demonstrated antihypertensive properties in clinical trials. In double-blind studies, hibiscus extract showed similar blood pressure lowering effect to popular antihypertensive drugs. Butunlike the drugs, which carry a significant side effect profile, hibiscus has a 100% tolerability and safety response. Typical reductions in systolic blood pressure are 15-20 mm Hg in subjects with initial readings of 140 mm Hg. Dosage: for the tea, three 240 ml servings/day; for an extract, take enough to supply 10-20 mg anthocyanidins daily.